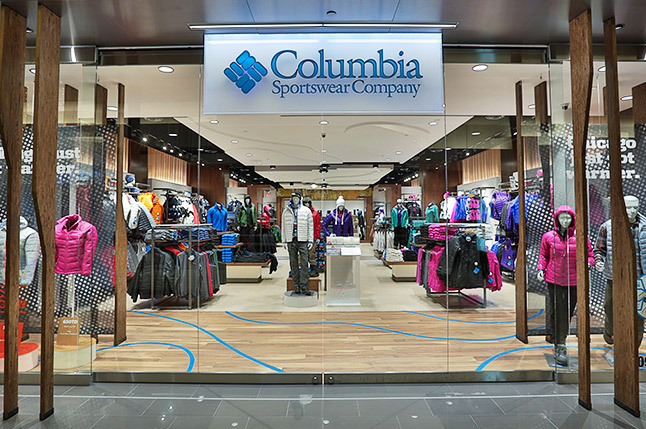 Columbia Sportswear Co. on Thursday announced net sales of $917.6 million for the fourth quarter of 2018, an increase of 18 percent (19 percent constant-currency), compared with net sales of $776 million for fourth quarter 2017 and ahead of Wall Street estimates by $69.6 million. Non-GAAP fourth quarter 2018 net sales of $899.3 million increased 16 percent (17 percent constant-currency). Fourth quarter 2018 net income increased to $113.3 million, or $1.63 per diluted share, compared to fourth quarter 2017 net loss of $7.1 million, or $(0.10) per share. Non-GAAP fourth quarter 2018 net income increased 27 percent to $116.9 million, or $1.68 per diluted share, compared with non-GAAP fourth quarter 2017 net income of $92.4 million, or $1.31 per diluted share. This topped analysts’ expectations by 40 cents. Full year 2018 net sales increased $336.2 million, or 14 percent (13 percent constant-currency), to $2,802.3 million, compared to $2,466.1 million in the prior year. Full year 2018 non-GAAP net sales increased $295.2 million, or 12 percent (11 percent constant-currency), to $2,761.4 million. Full year 2018 net income increased 155 percent to $268.3 million, or $3.81 per diluted share, compared to $105.1 million, or $1.49 per diluted share, in the prior year. Full year 2018 non-GAAP net income increased 34 percent to $282.0 million, or $4.01 per diluted share, compared to $210.1 million, or $2.98 per diluted share, in the prior year. (All comparisons are between fourth quarter 2018 and fourth quarter 2017, unless otherwise noted). For more information regarding net sales by geographies, brands, product categories and channels, please refer to the “Net Sales Growth” tables found in the “Supplemental Financial Information” section below. Fourth quarter 2018 net sales increased 18 percent (19 percent constant-currency) to $917.6 million. Non-GAAP net sales increased 16 percent (17 percent constant-currency) to $899.3 million. United States (“U.S.”) net sales increased 20 percent, attributable to low-20 percent growth in direct-to-consumer (“DTC”) and high-teens percent growth in wholesale. The company operated 136 U.S. retail stores at December 31, 2018compared with 129 at the same time last year. Latin America Asia Pacific (“LAAP”) net sales increased 16 percent (18 percent constant-currency) driven by the new revenue accounting standard as well as growth across Korea, Japan and China, partially offset by a decline in LAAP distributor net sales. LAAP non-GAAP net sales increased 4 percent (6 percent constant-currency). Europe Middle East and Africa (“EMEA”) net sales increased 12 percent (14 percent constant-currency), led by mid-teens percent Europe-direct growth and high-single-digit percent EMEA distributor net sales growth. Canada net sales increased 21 percent (26 percent constant-currency), reflecting strong wholesale and DTC performance. Columbia brand net sales increased 21 percent (22 percent constant-currency) to $727.8 million. SOREL brand net sales increased 11 percent (12 percent constant-currency) to $126.9 million. prAna brand net sales increased 21 percent to $36.7 million. Mountain Hardwear brand net sales decreased 8 percent (7 percent decrease constant-currency) to $26.1 million. Apparel, Accessories and Equipment net sales increased 19 percent (20 percent constant-currency) to $688.8 million. Footwear net sales increased 16 percent (17 percent constant-currency) to $228.8 million. DTC net sales increased 23 percent (24 percent constant-currency) to $467.0 million. Wholesale net sales increased 14 percent (15 percent constant-currency) to $450.6 million. Fourth quarter 2018 operating income of $152.8 million, or 16.6 percent of net sales, increased 40 percent compared to operating income of $109.4 million, or 14.1 percent of net sales, in fourth quarter 2017. Non-GAAP fourth quarter 2018 operating income of $154.5 million, or 17.2 percent of net sales, increased 34 percent compared to non-GAAP operating income of $115.6 million, or 14.9 percent of net sales, in fourth quarter 2017. Fourth quarter 2018 net income increased to $113.3 million, or $1.63 per diluted share, compared to a net loss of $7.1 million, or $(0.10) per share, in fourth quarter 2017. Non-GAAP fourth quarter 2018 net income of $116.9 million, or $1.68 per diluted share, increased 27 percent compared to non-GAAP net income of $92.4 million, or $1.31 per diluted share, in fourth quarter 2017. Fourth quarter 2018 income tax expense was $41.0 million, resulting in an effective income tax rate of 26.6 percent, compared to income tax expense of $116.5 million, or an effective income tax rate of 105.8 percent, in fourth quarter 2017. Our fourth quarter effective tax rate decreased compared to the prior year period primarily due to $95.6 million in incremental income tax expense related to the TCJA occurring in fourth quarter 2017 and a lower U.S. federal tax rate in 2018 due to the enactment of the TCJA. Non-GAAP fourth quarter 2018 income tax expense was $39.0 million, resulting in an effective income tax rate of 25.0 percent, compared to non-GAAP income tax expense of $23.2 million, or an effective income tax rate of 20.0 percent, for the same period last year. Our non-GAAP fourth quarter effective tax rate increased primarily due to a discrete tax benefit recognized in fourth quarter 2017 that was partially offset by the reduction in the 2018 federal income tax rate. At December 31, 2018, cash, cash equivalents and short-term investments totaled $700.6 million, compared to $768.1 million at December 31, 2017. In addition to cash, cash equivalents and short-term investments, the company had $14.0 million in restricted cash as of December 31, 2018, related to consideration placed in escrow as a portion of the funds needed to purchase the 40 percent non-controlling interest in the company’s China joint venture. The company closed the buyout transaction on January 2, 2019. Inventories increased 14 percent to $521.8 million at December 31, 2018 compared to $457.9 million at December 31, 2017, including a $27.2 million decrease due to a balance sheet reclassification of the estimated cost of inventory associated with sales returns into prepaid and other current assets under the new revenue accounting standard. Excluding the impact of this classification change, inventories increased 20 percent compared to December 31, 2017, largely due to the earlier timing of Spring 2019 inventory receipts. During full year 2018, the company generated $289.6 million in operating cash flow, compared to $341.1 million in the prior year. Capital expenditures totaled $65.6 million in 2018, compared to $53.4 million in the prior year. During full year 2018, the company repurchased 2,349,036 shares of common stock for $201.6 million, or $85.82 per share, and paid dividends of $62.7 million to shareholders and $20.0 million in dividends to the non-controlling interest in our China joint venture. In February 2019, the board of directors approved an additional $200 million share repurchase authorization. This is in addition to the approximately $130 million currently remaining available under the prior stock repurchase authorization. The share repurchase authorization does not obligate the company to acquire any specific number of shares or to acquire shares over any specified period of time. At its regular board meeting on January 25, 2019, the board of directors authorized a regular quarterly cash dividend of $0.24 per share, payable on March 18, 2019 to shareholders of record on March 7, 2019. All projections related to anticipated future results are forward-looking in nature and are subject to risks and uncertainties which may cause actual results to differ, perhaps materially. Projections are predicated on normal seasonal weather globally. In addition, our full year 2019 financial outlook assumes that current macroeconomic and market conditions in key markets do not worsen and that geopolitical tensions, including ongoing trade negotiations between the U.S. and China, do not deteriorate. The company’s annual net sales are weighted more heavily toward the Fall/Winter season, while operating expenses are more equally distributed throughout the year, resulting in a highly seasonal profitability pattern weighted toward the second half of the year. Spring and Fall season advance wholesale orders typically drive a significant portion of our annual net sales and are two of several significant factors we use to formulate our full year outlook. However, among the many risks inherent in our global business, our projected full year net sales and profitability may be materially affected by unfavorable weather patterns and other factors that affect consumer demand and store traffic and lead to higher-than-anticipated order cancellations and lower reorders by our wholesale customers or lower-than-projected net sales through our DTC businesses, particularly during the fourth quarter. We also face macroeconomic, competitive and geopolitical uncertainties as well as foreign currency exchange rate volatility in several major markets, making it more difficult for us to forecast our net sales and profitability. Our full year 2019 outlook assumes that global regulatory, customs and tax policies remain largely unaltered for the balance of the year. The company currently expects full year 2019 net sales of approximately $2.97 to $3.03 billion, representing 6.0 to 8.0 percent net sales growth, compared with full year 2018 net sales of $2.80 billion. The company expects full year 2019 gross margin to improve by approximately 70 basis points (gross margin of approximately 50.2 percent) compared to full year 2018 gross margin of 49.5 percent. The company expects SG&A expenses to increase at a rate faster than net sales, resulting in approximately 90 to 110 basis points of SG&A expense deleverage compared to non-GAAP full year 2018 SG&A expense. SG&A expense as a percent of net sales for full year 2019 is expected to be approximately 38.0 to 38.2 percent, compared to non-GAAP full year 2018 SG&A expense as a percent of net sales of 37.1 percent. Based on the above assumptions, the company expects full year 2019 operating income between approximately $369 million and $382 million, resulting in operating margin between approximately 12.4 and 12.6 percent, compared to non-GAAP full year 2018 operating margin of 12.9 percent. Please note non-GAAP full year 2018 operating margin of 12.9 percent excludes the impact of the new revenue accounting standard which the company implemented in January 2018 and incorporated into results thereafter. This adjustment is not necessary for full year 2018 results to be comparable to full year 2019 guidance and future results. We remain confident in our ability to drive profitable sales growth while continuing to meaningfully invest in our strategic plan. The company expects an estimated full-year effective income tax rate of approximately 22 percent. The tax rate may be affected by unanticipated impacts resulting from additional guidance about and application of the TCJA as well as changes in the company’s geographic mix of pre-tax income and other discrete events that may occur during 2019. The company expects full year 2019 net income between approximately $297 million and $307 million, or diluted earnings per share between approximately $4.30 and $4.45. This guidance includes the benefit of no longer recording a non-controlling interest share of net income related to the China joint venture, which is now a wholly owned subsidiary. For reference, this non-controlling interest share of net income was $6.7 million in full year 2018. Guidance assumes an average diluted share count of 69 million shares for the full year. This share count guidance includes the planned benefit of our systematic share repurchase plan, which is designed to offset dilution from employee stock grants but excludes the benefit from any additional opportunistic share repurchases we may execute throughout the year.